For my sister – She is the best. Amy is 6 years younger than me and she is super into green beauty too. 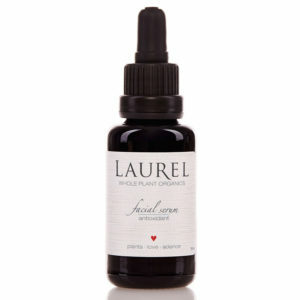 She mentioned she needed a new face oil so I would totally treat her to nothing but the Laurel Antioxidant Serum. It’s 100% organic, soaks right in and leaves my skin feeling so fresh and radiant. It packs the power of 31 fresh and potent botanicals – I just know she will freak over this formula! 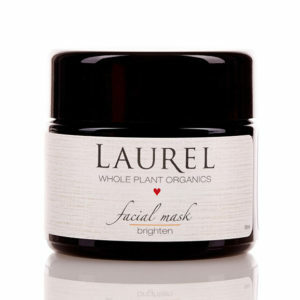 For my mom – Nothing but the Laurel Brighten Mask. I tried this mask for the first time a few months ago when Art Of Organics sent it out and I fell in love immediately. Like, I don’t know how else to say this but it literally brightens and evens skin tone, LITERALLY. Perfect for maturing skin with darkening age spots. I can almost feel it transforming my skin, I can’t get enough. Again 100% organic ingredients. And not only does it work but I just love the thought of my mom taking time out of her busy day to really do something for herself. 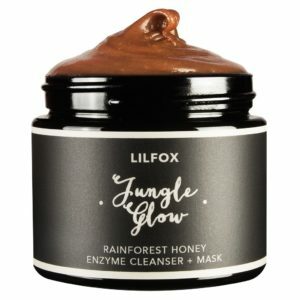 For my bestie – Lilfox’s Jungle Glow. This is one of my absolute favorite cleansers. It’s a honey based cleanser with a micro grit so you can either apply, work into your face and rinse off OR apply, leave on for 20,30,40 minutes and then add a bit of water, work all over face to exfoliate and wash off. This is an exfoliator and cleanser that works to slough off dead skin cells and leaves skin plump, stimulated, dewy and radiant. It’s really the gift that keeps on giving. And since it’s honey based, it’s practically good enough to eat – so there’s that too.